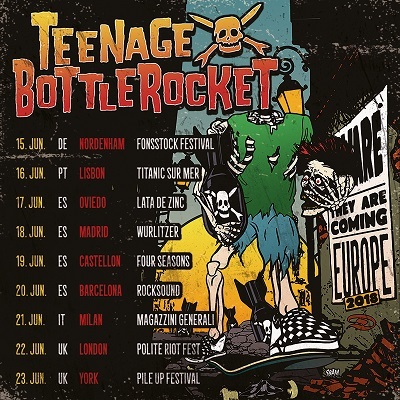 FAT MIKE and DESTINY TOURBOOKING bring the amazing PUNK IN DRUBLIC FESTIVAL to Europe!!! 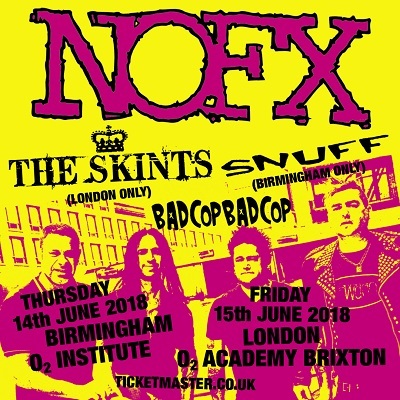 We're so stoked about the line ups (that vary by city) with NOFX, BAD RELIGION, PENNYWISE, BOYSETSFIRE, MAD CADDIES, BAD COP/BAD COP, GIUDA, L7, THE BRONX and JAYA THE CAT!!! 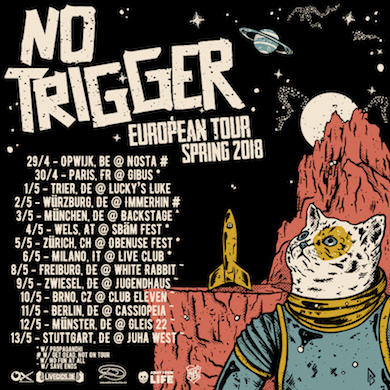 You can't get enough of No Trigger's melodic punk/HC songs?!? Neither can we! 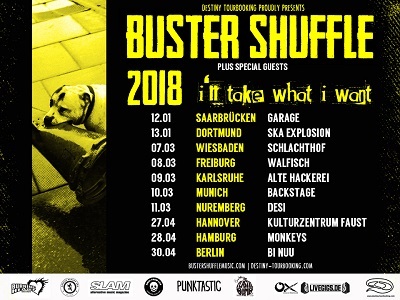 04 May 2018 AT, Wels - SBÄM Fest w/ Satanic Surfers, Venerea, Not On Tour, ... SOLD OUT!!! Ready for a tease? 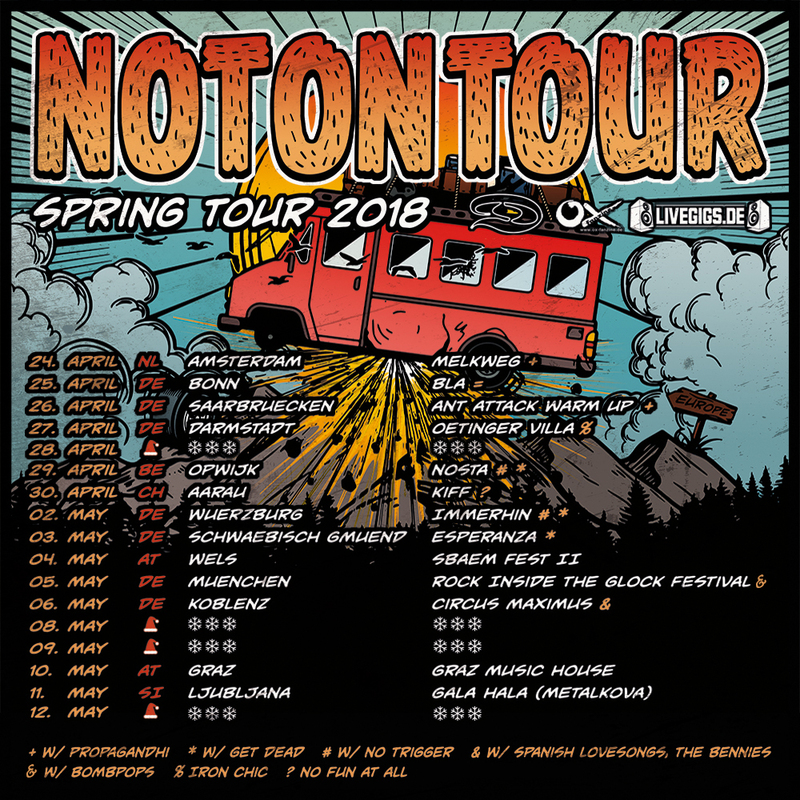 Before everyone is disappearing into holiday-land, here's your hot hot sneak preview of where Not On Tour will be headed to in Spring! Stay tuned for more awesomeness..
Tyskland! 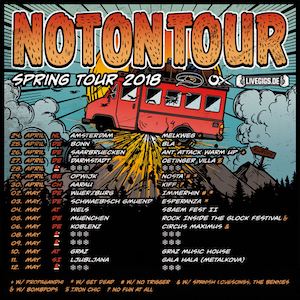 Get ready for No Fun At All's spring tour 2018! 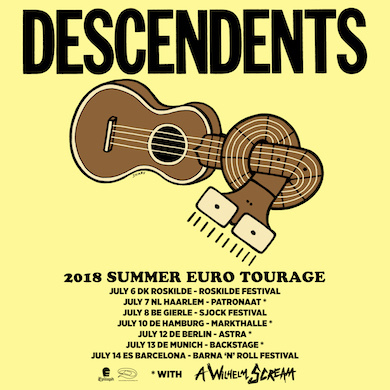 The guys will hit ANTATTACK FESTIVAL (DE), SBÄM Fest 2 (AT) and PitFest (NL), so we built a short and sweet tour through Germany and Switzerland around it. 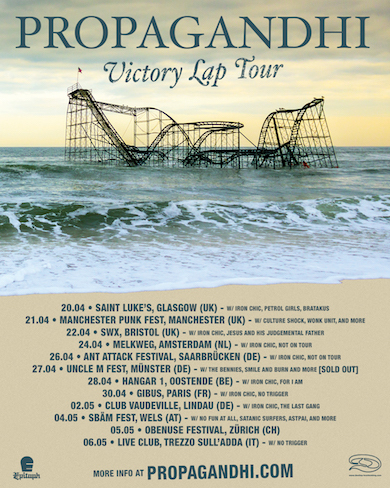 The Canadians of Propagandhi are coming back to Europe to celebrate the release of their latest record 'Victory Lap' (29 September / Epitaph) - and we join the party by throwing in some tourdates from our end!! 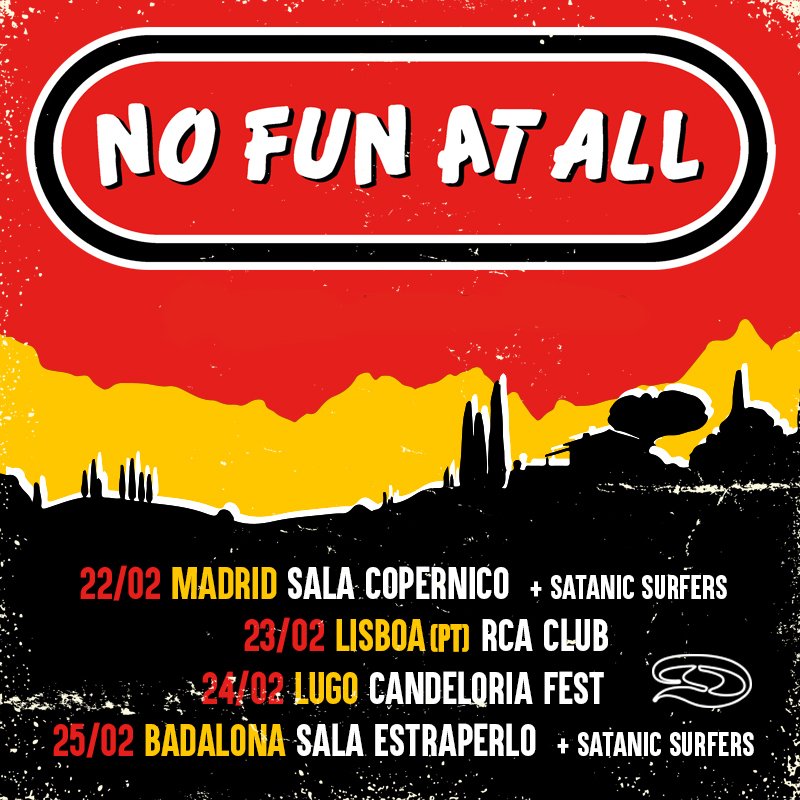 04 May 2018 AT, Wels – SBÄM Fest w/ Satanic Surfers, No Fun at All, Not On Tour, Venerea, No Trigger ..
We're starting with an early 2018 run in Spain and Portugal, two dates side by side with our friends of Satanic Surfers!